MIMICS Fixed Assets Management Software provides a completely automated solution for managing corporate assets. The assets can be categorized by asset type, and a user defined modeling feature allows for quick asset entry while minimizing entry errors. The system tracks assets for an unlimited number of companies, along with other physical and logical location codes such as cost center, department, building, floor, etc. Simple transfer processing keeps a history of the assets' life cycle through different locations. This system will help your organization cut costs by tracking accurate asset valuation to minimize insurance costs and maximize replacement values. Assets can be valued by any number of indices, such CPI and PPI. Keep vehicles and equipment properly maintained with maintenance scheduling and tracking. Pictures and documents can be saved for each asset showing lease agreements, purchase documents, and pictures of asset condition. Reporting to foreign governments or foreign reporting entities can be easily accomplished by using the multi-currency feature and can be further enhanced by setting up separate foreign books. Maximize tax savings with your choice of depreciation methods and first year depreciation methods. Keep an unlimited number of books for the most effective reporting to stockholders, IRS, state governments, foreign governments, and other entities. 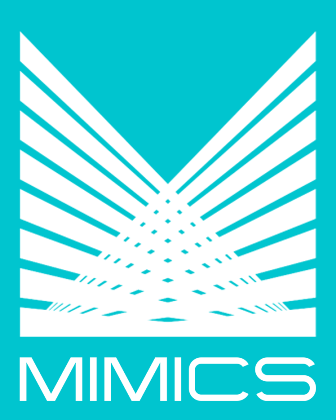 MIMICS Fixed Assets Management System fully integrates with the full suite of MIMICS Accounting System products. Corporate Structure allows the tracking of assets for an unlimited number of companies. Asset Locations are user defined. The user identifies and names the locations in the system so assets can be tracked by cost centers, branches, buildings, departments, floors, rooms, etc. Transfer Processing allows the transfer of assets to any location defined in the corporate structure. Work Orders are produced for transfers that require scheduling and special handling. Historical Location Tracking provides a complete history of all the locations where an asset has resided and lists the dates of each transfer. Asset Category Modeling allows the user to define asset categories. Each category can have any of the asset attributes predefined and automatically assigned to any asset during the entry process. These attributes can be overridden. Lost, Stolen, and Missing Assets can be identified and reported separately for claim processing. The historical location can assist in finding missing assets. Depreciation Methods of Straight Line, Declining Balance, Sum-of-the-Years'-Digits, ACRS, and MACRS are available through the system. Any depreciation method can be created at the user's request. Purchases and Disposals feature allows the tracking of assets from the point of their purchase or acquisition to disposal. Reports are available to show the status and disposition of new and disposed assets. Multiple Books can be maintained in the system for any company. The books can be named and designated as the user wishes for corporate grouping; federal, state, and any governmental grouping; and foreign grouping. Foreign Reporting and multi-currency reporting are available. A currency conversion table allows reporting in any foreign currency of choice. Insurance Reporting and valuation tables are used to accurately calculate replacement values and to ensure adequate insurance coverage. These can be valuation tables of your choice. The location and pictures of asset conditions assist in maximizing the recovery amount on damaged, lost, or stolen property. Asset Valuation can be used for much more than insurance. Current asset value can be determined by any of the numerous methods available. The indexes for any method can be added to the valuation tables and used to calculate current and past asset values. maintenance and repairs. Document images can be stored with the asset information. Document Management allows documents and pictures to be stored with the asset information. These documents can be copies of invoices, maintenance documentation, lease agreements, original purchase orders, or any document that needs to be kept with the asset. The documents can be stored in any picture format or in PDF format. Electronic Pictures can also be stored with the asset information for a documented history of the assets' condition and surroundings. Additional Reports are included in the system with user defined sorting and data selection capabilities. Web Interface of Asset Review and Update are available. Asset information can be reviewed through the Internet. This can be used to review agreements and pictures of the asset when the company network is not available at the asset location. Integration of this system with the MIMICS General Ledger System and other general ledger systems is easy to set up.